➤Letter Printing ： Simple and fashionable high-temperature printing, made you stand up, the 4 tear-resistant technology make it not easy to fade, more personality, high color fastness. ➤Comfortable and Pefect Fit: This hoody bring you in soft, cozy, breathable mid-weight fleece. Because of the loose fit, you can move easily and the drawstring hood makes it adjustable to your liking. 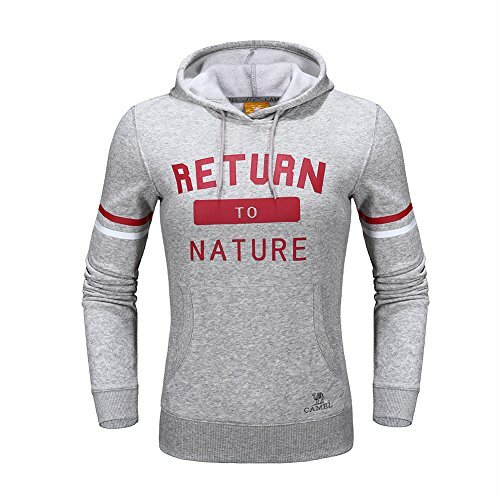 ➤Occasions:Navy blue and light gray color are Perfect for any occasion.，The simple design can go with So Much Stylish Denim Pants and Casual Pants for the Daily look.The stylish hoodie suitable for spring, autumn, winter and casual occasions. Perfects for outdoor activities and indoor leisure wearing. This is NOT for adults!